Harris, Carolyn. "Queen Elizabeth II". The Canadian Encyclopedia, 20 November 2017, Historica Canada. https://www.thecanadianencyclopedia.ca/en/article/queen-elizabeth-ii. Accessed 19 April 2019. ​Elizabeth the Second, Queen of Canada, the United Kingdom and 14 other Commonwealth realms (born 21 April 1926 in London, United Kingdom). 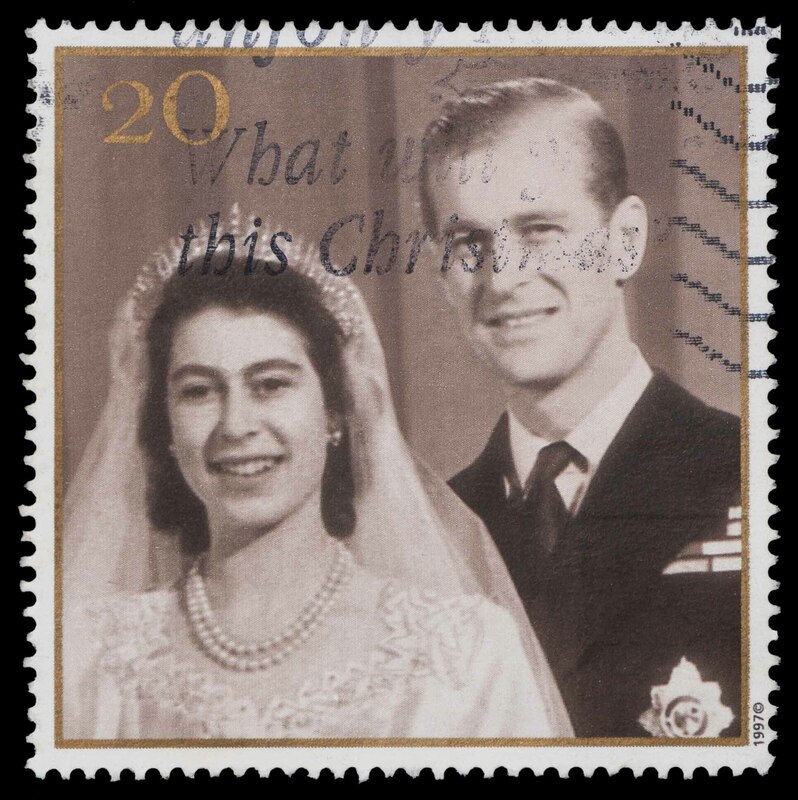 A stamp printed in Great Britain (circa 1997) shows Queen Elizabeth II and Prince Philip on the day of the wedding in 1947. 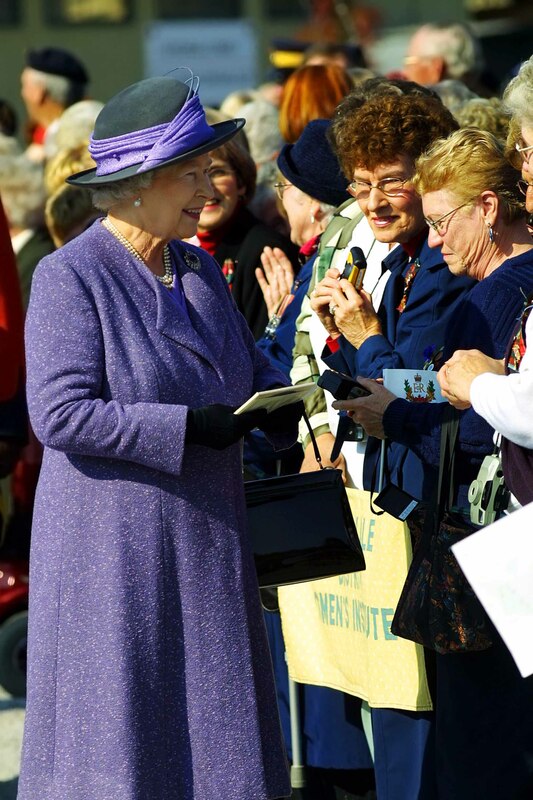 Her Majesty Queen Elizabeth II meets members of the Sussex Vale District Women's Institute during the Royal Visit in Sussex, New Brunswick, Oct. 12, 2002. Photo taken on: October 12, 2002. Elizabeth the Second, Queen of Canada, the United Kingdom and 14 other Commonwealth realms (born 21 April 1926 in London, United Kingdom). The Queen has reigned since 1952 and is the Head of State of Canada, the United Kingdom and 14 other Commonwealth realms. Elizabeth II was the first monarch to be crowned Queen of Canada. She is the longest reigning monarch in British and Commonwealth history. Princess Elizabeth Alexandra Mary was born on 21 April 1926 at the London home of her maternal grandparents, Claude and Cecilia Bowes-Lyon, the Earl and Countess of Strathmore. Her parents were Prince Albert, Duke of York (the future George VI), second son of the reigning King George V, and the former Lady Elizabeth Bowes-Lyon. At the time of her birth, she was third in line to the throne but it seemed unlikely that she would ever become Queen. Her uncle, the future Edward VIII, was unmarried at the time but the public assumed that he would eventually marry and have children of his own. The succession laws of the period dictated that any sons born to the Duke and Duchess of York would precede Elizabeth in the line of succession. Nevertheless, there was public interest in the birth of King George V`s first granddaughter. Elizabeth was christened in the private chapel at Buckingham Palace on 29 May 1926. Her godparents included a former Governor General of Canada, her great-grand-uncle Prince Arthur, Duke of Connaught. When Elizabeth was only eight months old her parents embarked on a six-month world tour, visiting Australia and New Zealand. Although the Duchess of York wrote in her diary that she was "very miserable at leaving the baby," the young Elizabeth remained in the United Kingdom in the care of her grandparents as was customary for royal tours at the time. Despite these periodic absences for royal duties, Elizabeth, her parents, and her younger sister, Princess Margaret Rose (1930–2002), were a close family who enjoyed spending time together. Although George V had a reputation for severity toward his children, he doted on his granddaughter and she enjoyed a close relationship with all her grandparents. On 20 January 1936, George V died and Elizabeth’s uncle succeeded to throne as King Edward VIII. He reigned for only 11 months before abdicating on 10 December to marry a twice-divorced American, Wallis Simpson. The abdication changed 10-year-old Elizabeth’s life. With the ascension of her father as King George VI, she became the heiress presumptive, and the family moved into Buckingham Palace. The young princesses were not happy with the changes that their father’s ascension brought to their lives, which included less privacy and less time with their parents. Elizabeth and Margaret were educated at home by a governess, Marion Crawford, who taught history, geography, grammar, literature and composition. They also had additional governesses who taught French, music and dancing. The Queen is fluently bilingual in French and English. Elizabeth’s grandmother, Queen Mary, took a strong interest in the education of her granddaughters and took them to museums and historic sites to increase their knowledge of the history and politics of the British Isles. 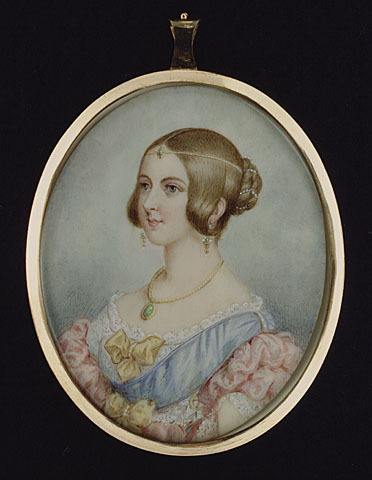 As she grew older, Elizabeth received additional training to prepare her for her future position, including history and political science lessons with the vice provost of Eton College, Sir Henry Marten, and extensive time spent with her father, learning the duties of a constitutional monarch first-hand. Elizabeth and Margaret resided at Windsor Castle, outside London, throughout the Second World War. During this time, Elizabeth continued her education and began to assume official duties. At the age of 14, she made her first radio broadcast, addressing the children of the United Kingdom and Commonwealth as part of the BBC Children’s Hour. Elizabeth carried out her first solo engagement in 1943, spending a day with the tank battalion of the Grenadier Guards in her capacity as Honorary Colonel-in-Chief. She began accompanying her parents on royal engagements throughout the United Kingdom in 1944 and became a Counsellor of State. In 1945, Elizabeth joined the Auxiliary Territorial Service as a subaltern and rose to the rank of junior commander by the end of the war. The Queen is the only current Head of State who served in uniform during the Second World War. Elizabeth met Prince Philip of Greece in childhood and first became interested in him when he gave her a tour of the Dartmouth Naval College in 1939. They corresponded throughout the Second World War and Philip spent periods of leave from the Royal Navy at Windsor Castle. On 9 July 1947, Buckingham Palace announced the engagement of Elizabeth and Philip. In Canada, Prime Minister William Lyon Mackenzie King summoned the King’s Canadian Privy Council to approve the union of the future Queen of Canada. Elizabeth and Philip were married at Westminster Abbey in London on 20 November 1947. The ceremony was broadcast over BBC radio to an audience of 200 million people around the world, allowing Canada to share in the celebrations. Mackenzie King sent the royal couple antique silver as a wedding gift (in consultation with a former viceregal consort, the Countess of Athlone) as well as a mink coat for the Princess. The royal couple’s first child, Prince Charles, was born at Buckingham Palace on 14 November 1948. A daughter, Princess Anne, was born on 15 August 1950, followed 10 years later by Prince Andrew (19 February 1960) and later Prince Edward (10 March 1964). Elizabeth expressed her intention to be a hands-on mother and nursed Charles until she caught the measles when he was two months old. George VI’s declining health, however, meant that Elizabeth assumed a demanding schedule of royal engagements while her children were young. As Queen, her extensive Commonwealth tours resulted in her children spending long periods with nannies and with their grandmother, Queen Elizabeth, the Queen Mother. Elizabeth visited Canada for the first time in the autumn of 1951, accompanied by Philip. The royal couple were representing George VI, who had just undergone surgery for lung cancer. 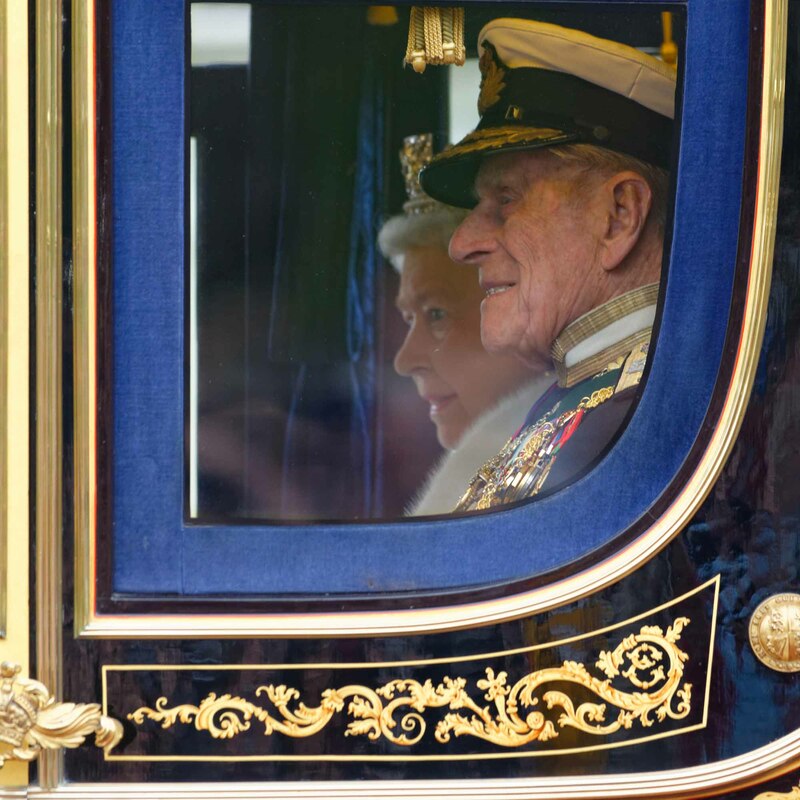 There was tremendous popular interest in the tour because Elizabeth and Philip, like William and Catherine in 2011, appeared to be a glamorous young royal couple who would modernize the monarchy. They were the first royal couple to visit Canada via transatlantic aircraft rather than ship and they threw themselves into Canadian pastimes, attending a hockey game at Maple Leaf Gardens and a demonstration of the Calgary Stampede and square dancing at Rideau Hall. They were well-received by Canadians from all walks of life though Elizabeth appeared to be quieter and more reserved than the gregarious Philip. After her return to the United Kingdom, Elizabeth reflected on her time in Canada: "I am sure that nowhere under the sun could one find a land more full of hope, of happiness and of fine, loyal, generous-hearted people. […] They have placed in our hearts a love for their country and its people which will never grow cold and which will always draw us to their shores." George VI died on 6 February 1952 while Elizabeth and Philip were representing him on a trip to Kenya. The 25-year-old Princess automatically succeeded to throne as Queen Elizabeth II. The new Queen and her husband immediately returned to the United Kingdom and ascended to the throne in a climate of tremendous public goodwill. Both her father and grandfather had been second sons who were not raised to be King but Elizabeth had been heiress presumptive from a young age and was extremely popular. Canada was between Governors General at the time so the Chief Justice, Thibaudeau Rinfret, proclaimed “The High and Mighty Princess Elizabeth Alexandra Mary” Queen and “Supreme Liege Lady in and over Canada.” In December 1952, the new Queen’s formal Canadian titles were decided at the Commonwealth Prime Ministers’ Conference in London: Elizabeth the Second, by the Grace of God of the United Kingdom, Canada and Her other Realms and Territories Queen, Head of the Commonwealth, Defender of the Faith. Elizabeth II was crowned Queen at Westminster Abbey on 2 June 1953 and made history by becoming the first monarch to be crowned Head of the Commonwealth and Queen of Canada. Her dress included symbols from the Commonwealth realms, with embroidered maple leaves representing Canada (see also Emblems of Canada). The Queen’s unprecedented decision to permit television cameras to film the coronation allowed the entire Commonwealth to share in the celebrations. 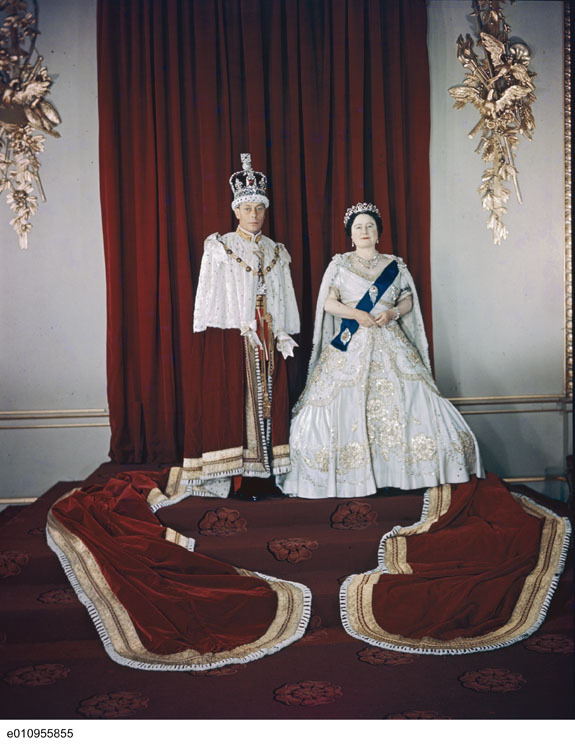 The coronation became the first transatlantic television broadcast as the footage was flown to Canada to be shown on the CBC. Prime Minister Louis St-Laurent attended the coronation in London while Governor General Vincent Massey presided over the celebrations on Parliament Hill, which were attended by 100,000 people. There were additional celebrations across Canada. St. John’s, Newfoundland, held the largest parade in the city’s history and there was a coronation show at the Canadian National Exhibition in Toronto. Canada is a constitutional monarchy with the Queen as Head of State. The Crown holds the power to govern but this power is entrusted to the government, which is expected to lead on behalf of the people. The Crown serves as a level of government that is above party politics and holds reserve powers such as appointing the Prime Minister, opening Parliament, proroguing Parliament and calling an election. Bills passed by the House of Commons and Senate must receive Royal Assent to become law. In Canada, the Crown is represented by the Governor General at the federal level and Lieutenant-Governors at the provincial level. During her time in Canada, however, the Queen has directly exercised her prerogatives as Head of State. In 1957, on her first visit to Canada after her accession, the Queen opened Parliament and delivered the throne speech in person. In 1976, the Queen declared the Olympic Summer Games in Montréal open in her capacity as Canada’s Head of State. From the beginning of her reign, the Queen devoted herself to the role of Head of the Commonwealth. She is the most well-travelled monarch in history and has visited all Commonwealth nations except Cameroon and Rwanda. For decades, the issue of South African apartheid dominated Commonwealth Heads of Government meetings and allowed the Queen to exert political influence in her role as Head of the Commonwealth. During the 1980s, Canadian Prime Minister Brian Mulroney supported economic sanctions against the apartheid regime, measures which British Prime Minister Margaret Thatcher opposed. The Queen supported Mulroney’s stance as well as the release of future South African President Nelson Mandela from prison. In English Canada, the monarchy inspired indifference rather than hostility during the same period. In 1959, CBC journalist Joyce Davidson commented on NBC’s Today show, “Like most Canadians, I am indifferent to the visit of the Queen,” referring to the Queen and Prince Philip’s six-week tour that year of all Canada’s provinces and territories. The Canadian public responded with outrage and polling data revealed that the majority of Canadians in 1959 were looking forward to the royal visit. During the 1960s and 1970s, however, more and more prominent Canadians expressed sentiments similar to those of Davidson. In 1967, the UK High Commissioner in Canada, Sir Henry Lintott, wrote that his conversations with Prime Minister Lester Pearson revealed that he “now believes that the days of the monarchy in Canada are numbered, and that Canada should have her own head of state sooner rather than later.” In the 1970s, there were fewer and fewer public references to the Queen’s role as Canada’s Head of State, contributing to a widespread view that the monarchy was in terminal decline. Yet the future of the Crown in Canada was protected in 1982 by the Constitution; section 41(a) stipulated that any changes concerning the office of the Queen, Governor General or Lieutenant-Governor of a province required the assent of all provincial legislatures in addition to the Senate and the House of Commons. The Crown has enjoyed a special relationship with Canada’s First Nations since King George III issued the Royal Proclamation of 1763, which guaranteed First Nations land rights. As in Québec prior to the Quiet Revolution, many First Nations leaders view the Crown as a protector of minority rights. The Queen’s visits to Canada usually include meetings with First Nations leaders and attendance at cultural events. In 1970, the Queen visited remote communities along the Arctic Circle with Philip and her two eldest children, Charles and Anne. This high-profile tour officially marked the 100th anniversary of the Northwest Territories but it also provided the Queen with the opportunity to engage with the Inuit and to affirm Canada’s sovereignty over the Arctic through her presence in the region. 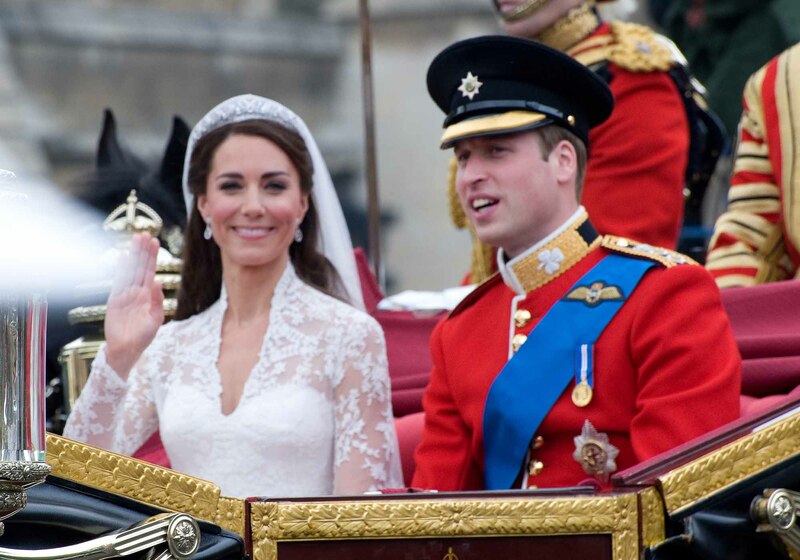 The following year, William and Catherine, the Duke and Duchess of Cambridge, travelled across Canada on their first overseas tour as a married couple. The success of the 2011 tour demonstrated that there was a bright future for the monarchy beyond the reign of the present Queen. The Queen remained in the United Kingdom for Diamond Jubilee celebrations in 2012 but the 60th anniversary of her accession was an opportunity for people throughout the Commonwealth to celebrate her reign and achievements. The Queen's children and grandchildren represented her throughout the Commonwealth for the Diamond Jubilee. The Prince of Wales and Duchess of Cornwall visited Canada for Victoria Day weekend and were well-received. As Head of State, the Queen is formally Commander-in-Chief of the Canadian Forces and is also honorary Colonel-in-Chief of 13 Canadian regiments: The Argyll and Sutherland Highlanders of Canada (Princess Louise’s), The Calgary Highlanders, The Canadian Grenadier Guards, The Canadian Military Engineers, The 48th Highlanders of Canada, The Governor General’s Foot Guards, The Governor General’s Horse Guards, The King’s Own Calgary Regiment, Le Régiment de la Chaudière, The Rocky Mountain Rangers, The Royal New Brunswick Regiment, The Royal 22e Régiment (The Van Doos), and the Stormont, Dundas, and Glengarry Highlanders. The Queen is also Captain General of the Royal Canadian Artillery. The Queen is patron of over 600 charities and other philanthropic and cultural organizations including 33 based in Canada. 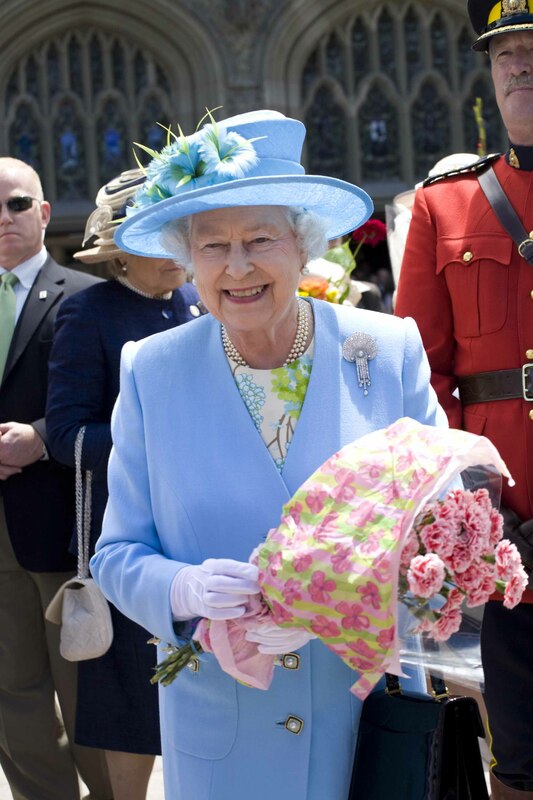 The Queen’s Canadian patronages include the Canadian Cancer Society, the Canadian Nurses Association, Save the Children Canada, the Royal Canadian Humane Association, the Queen’s Plate and the Royal Agricultural Winter Fair of Toronto. Successive monarchs and their families have extended royal patronage to hospitals since the 18th century. Current royal patronage of animal welfare organizations (see also Animal Issues) reflects the Queen’s love of dogs, horseback riding and horse racing. Arthur Bousfield and Garry Toffoli, Fifty Years The Queen: A Tribute to Queen Elizabeth II on Her Golden Jubilee (2002); Gyles Brandreth, Philip and Elizabeth: Portrait of a Marriage (2004); John Fraser, The Secret of the Crown: Canada’s Affair with Royalty (2012); Robert Hardman, Our Queen (2011); D. Michael Jackson, The Crown and Canadian Federalism (2013), Jackson and Philippe Lagassé, eds., Canada and the Crown: Essays on Constitutional Monarchy (2014), Jackson and Jennifer Smith, eds., The Evolving Canadian Crown (2012); Andrew Marr, The Diamond Queen (2011); Philip Murphy, Monarchy and the End of Empire: The House of Windsor, the British Government and the Postwar Commonwealth (2013); Ben Pimlott, The Queen: A Biography of Elizabeth II (1998); David E. Smith, The Invisible Crown: The First Principle of Canadian Government (2013); Sally Bedell Smith, Elizabeth the Queen: The Life of a Modern Monarch (2012); Nathan Tidridge, Canada’s Constitutional Monarchy (2011). Queen Elizabeth II marries Prince PhilipView a vintage news report about the Royal Wedding in which Her Royal Highness Princess Elizabeth married Prince Philip at Westminster Abbey. From YouTube. The Queen's role in CanadaA brief description of the Queen’s unique relationship with Canada. From the official website of the British Monarchy. British MonarchyThe extensively illustrated website of the British Monarchy. Royal Tour Canada 1957Queen Elizabeth II on Royal Tour of Canada & USA. A video from British Pathé. Royal JourneyA documentary account of the five-week visit of Princess Elizabeth and the Duke of Edinburgh to Canada and the United States in the fall of 1951. From the National Film Board of Canada. Queen in CanadaQueen Elizabeth II visits Expo '67 in Montreal and Ottawa, Canada. A video from British Pathé.